Outlined below is a history of the Acura NSX along with information about future production. Feel free to contact us with any information we can add to this page. Thank you. The original NSX prototype was based on a HP-X (Honda Pininfarina Xperimental) concept developed by independent Italian car design firm Pininfarina. This HP-X was first conceived in 1984 and featured a mid-mounted 2.0L V6. After debut at the 1989 Chicago Auto Show and Tokyo Motor Show the NS-X designation was changed to simply NSX. In Japan the NSX went on sale in 1990 displacing the Honda Prelude as the performance model. 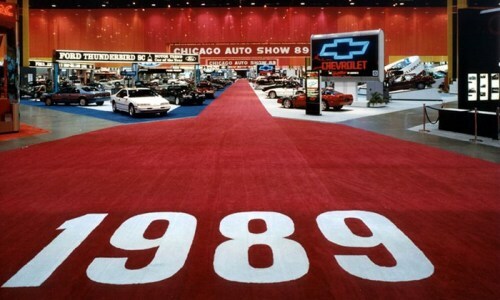 In North America and Hong Kong the Acura marquee was used and sales began for model year 1991. The initial NSX was renowned for its handling along with 0-60 times earning the Australian Wheels Magazine and Automobile Magazine’s Car of the Year awards. Throughout the life of the NSX several special models were released in Japan only. This includes the lighter weight NSX-R along with NSX-S and S-Zero designed for track use. There was also a special Alex Zanardi Edition produced in 1999 for the United States only of which only 50 were made. 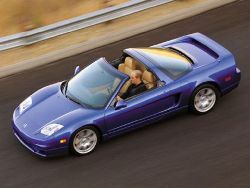 A major change came in 1995 when the NSX-T targa top model was introduced in both Japan and the US and became the standard model besides special editions and special orders post 1997. These targa models required 100 pounds of structural reinforcements due to decreased chassis rigidity. To offset curb weight increase several design changes were made including new stronger thinner lighter allow material. The result was only a 22 lbs. net weight increase. The NSX remains a popular and sought after performance car today. Known for its speed, handling and reliability it continues to hold its value well on the used car market. In January of 2012 Acura unveiled a new NSX concept and has plans to develop a 2nd generation Acura NSX for production no sooner than 2015. The plan is for development and assembly to take place in the Performance Manufacturing Center in Marysville, Ohio. Known features are a Mid-engine, all-wheel drive (front dual electric motors) layout along with 7 speed manual and dual clutch automatic transmissions.